Frederik L. Schodt is a writer, translator, and conference interpreter based in the San Francisco area. He specializes in currents of thought flowing between Japan and North America, and has written extensively on popular culture, technology, and history. His best known works on manga include Manga! Manga! The World of Japanese Comics (1983), Dreamland Japan: Writings on Modern Manga (1996), and The Astro Boy Essays: Osamu Tezuka, Mighty Atom, and the Manga/Anime Revolution (2007). He has won numerous awards, including the Asahi Shimbun's Osamu Tezuka Culture Award (special category) in 2000, and the Ministry of Foreign Affairs International Manga Award, Special Category, in 2009. In 2009, the Emperor of Japan awarded him the Order of the Rising Sun, Gold Rays with Rosette, for his work in introducing Japanese popular culture to North America. In 2013, his book, Professor Risley and the Imperial Japanese Troupe: How an American Acrobat Introduced Circus to Japan-And Japan to the West, won the Circus Historical Society's Stuart Thayer Prize. In addition to his original writings, he is an active translator, and has worked on many well-known manga series, as well as novels, including Yoshiyuki Tomino's Mobile Suit Gundam trilogy. 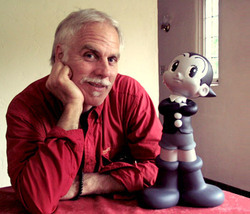 Most recently, he has been translating a collection of animator Hayao Miyazaki's writings. His website is at http://www.jai2.com. A more extensive profile can be viewed at http://www.jai2.com/fredbio.htm. His bibliography is at http://www.jai2.com/Mybiblio.htm.